Living in a Non-Growth World? That trivial fact is rather alarming, is our ability to foresee and prepare on that level really? However, the news of the day was: In the most recent scenarios High Growth for developed economies has become a Wild Card: it is not the probable world view from this moment to some 20 years ahead. Roller coaster ride with upturns and downturns can change to be a long period of low- or no-growth. Are firms and governments taking this scenario seriously and equipped to survive in that scenario ? 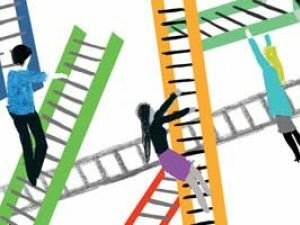 Are all the tools and strategies we and other business schools teach up-to-date for that new world order, or should we find and develop new ones? I have no firm answers to my own questions, but would appreciate views and opinions from fellow IB bloggers!!! Next week I am in a seminar in Aalto Venture Garage in Espoo, listening to growth business guru Steve Blank (U can google him, or try to get your hands on his book “4 steps to epiphany”). Perhaps I will then be able to start to mould new thinking in my mind: How to grow a particular business in a non-growth world…I will keep you posted! Greets from Texas, just got my first promotion after one year here at Texas Parks and Wildlife. I started out as an assistant utility post operator and am now the lead yeah! I am preparing to hire my assistant next week and will be involved in the interviewing process. My secret was to ask of questions, press for the required courses needed in the industry to stay current and up to date and despite the odds apply for the next position available. I didn’t expect to get the position but it turned out only two other applicants applied and neither one was qualified. In other words don’t count yourself out by not applying for the job you want, just go for it! You may soon be able to transfer content between Wi-Fi-enabled devices in your home or office without having to set up a Wi-Fi router. On Oct. 25, industry association Wi-Fi Alliance began certifying consumer electronic gadgets that can connect directly to other Wi-Fi devices (http://www.businessweek.com/technology/content/oct2009/tc20091013_683659.htm). The technology is, in effect, an alternative to Bluetooth wireless connectivity. Devices marked with the new Wi-Fi Direct label can connect to older Wi-Fi devices. Mobile phones, cameras, printers, PCs and gaming devices can now connect to each other directly to transfer content and share applications. Devices can make a one-to-one connection, or a group of several devices can connect simultaneously. How this might work: Your Wi-Fi Direct device will signal to other devices in the area that it can make a connection. You can view available devices and ask them to connect, or you might receive an invitation to connect to another Wi-Fi Direct device.Chipmakers including Intel, Broadcom and Atheros have already announced Wi-Fi Direct products. If Wi-Fi Direct takes off, Bluetooth’s future may be murky. 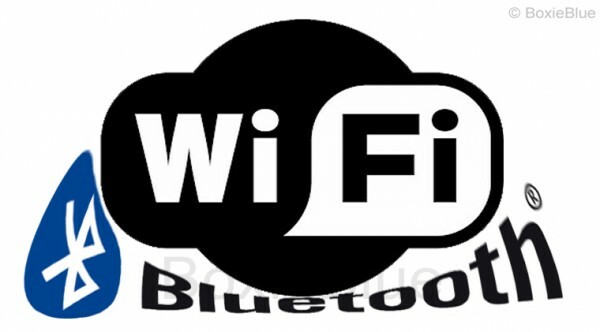 via Wi-Fi Direct to Threaten Bluetooth – BusinessWeek.